You’re looking for a franchisor with an immediately recognizable brand that has a heritage of trust and dependability. Plus, you’re looking for a franchisor with an experienced management team that has a solid track record of supporting franchisees. But above all, you’re looking for a franchisor that you can trust to help make the most of your investment. Together, we’re going to clean up. We’re going to let America’s love shine. Millions of people recognize and have trusted Mr. Clean around the world for decades. He brings with him brand awareness, and an established base of consumers who have trusted his products for decades. Franchisees benefit from a powerful support system developed by our team’s franchising and car wash experience. Plus, you'll stand out with world-renowned marketing expertise supporting you. 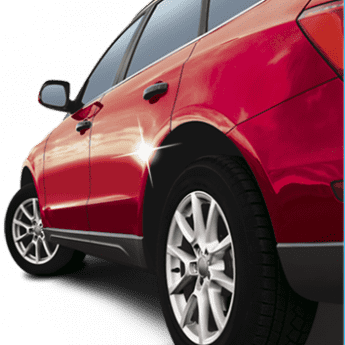 The Mr. Clean Car Wash business model incorporates multiple profit centers and state-of-the-art facilities to support a well-rounded investment and give you pride of ownership. What is the next step in getting my car wash business started? The next step is to complete and submit the Online Qualification Application. This does not obligate you or Mr. Clean Car Wash in any way. The information is simply used to determine whether or not owning a Mr. Clean Car Wash business may be right for you. Upon receipt and review, we will contact you. What are the financial requirements associated with this franchise opportunity? What is franchising? How does it work? Simply put, franchising is a way for a business to expand beyond its original owners. The most common form of franchising is a business format franchise, where the franchisor contributes certain elements of the business and the franchisee contributes certain elements. The power of franchising is realized through the combination of the contributions from the two participants. Franchisees pay initial franchise fees and then ongoing royalties for access to the format the franchisor has developed and for ongoing enhancements to the system. The franchisor contribution will include the brand/trademark for the concept, the business system (commonly called the operating system), and initial and ongoing support as the franchisee builds his or her business. The franchisee contribution involves the management skills to run the business day-to-day using the franchisor-provided brand and system, and capital to fund the opening and continued operations of the business. In addition, the franchisee brings a level of desire and interest in having the business succeed that is essential to franchising – and is something the franchisor can't replicate on its own. There is a contract - called the Franchise Agreement - signed by both parties that governs the relationship between the franchisor and franchisee and explains in detail the responsibilities of both sides. The franchisor is required to provide a copy of the Franchise Agreement and this contract will provide a roadmap for the duration of time the agreement is effective. What qualifications does Mr. Clean Car Wash seek in its potential franchisees? What is the availability of sites in my area? The availability of franchises in specific areas will be discussed during our initial conversations. However, as you can appreciate, Mr. Clean Car Wash cannot predict which locations will be available when your application and qualification process is complete. Therefore, the flexibility to relocate when considering a franchise opportunity may be required. Will Mr. Clean Car Wash buy a piece of property that I own and then sell me the franchise for that location? Mr. Clean Car Wash does not purchase sites for franchisees. We do perform site evaluations on proposed locations, but you will be responsible for selection and proposal of a site. Mr. Clean Car Wash will connect you with third party resources that are available to assist you in site selection. Will Mr. Clean Car Wash assist with lease negotiations? Mr. Clean will connect you with third party resources to assist in leasing. Your franchise agreement will have an initial term of 10 years, plus a 10-year renewal option. The continuing royalty fee is 6% of net sales (net sales = gross sales minus taxes, refunds and discounts), paid weekly through electronic funds transfer. Currently, there is a requirement to contribute 3% of the stores weekly net sales (net sales = gross sales minus taxes, refunds and discounts) to the Advertising and Development funds. In addition, there is a requirement to spend 2% of net sales (net sales = gross sales minus taxes, refunds and discounts) on local advertising. How long does it take to open a Mr. Clean Car Wash Business? Will I receive assistance in finding a location for my Mr. Clean Car Wash? Yes. While it is each franchisee's contractual responsibility to find a suitable location, we will connect you with resources to assist you in site selection. We will collectively review all available options and approve a location that is mutually agreed upon and meets our criteria. Do I receive training from Mr. Clean Car Wash? Our current training program offers 5 weeks of hands-on experience in operating a Mr. Clean Car Wash location at a training facility/on-the-job/onsite. We also provide additional training for your management staff and a Mr. Clean Support representative will be on your site during opening. The Mr. Clean Car Wash team will provide guidance regarding standards, specifications, operating procedures, marketing and purchasing equipment and products. A series of manuals are also provided that will assist you in the operation of your Mr. Clean Car Wash. Regional activities are also very important in our relationship and for your ongoing education. These activities help to keep franchisees informed on a variety of subjects and provide an opportunity for you to interact with other franchisees and the Mr. Clean Car Wash management team. May I open more than one store? Yes. We encourage franchisees with the required skills and experience to consider multi-unit development opportunities. You can fill out and submit the online form. Once you are pre-qualified based on the on line submission, a Mr. Clean Car Wash Franchise Development Representative will contact you with more information about the franchise opportunity. After we get your information and you are pre-qualified, we’d like to schedule a telephone conversation to get to know you better and help you learn more about the Mr. Clean Car Wash franchise opportunity. If we’re still both interested, we’ll send you the FDD along with our franchise application and Non-Disclosure Agreement. This will give you a wealth of information about Mr. Clean Car Wash and the franchise opportunity. When you receive your copy of the FDD, please sign the receipt and return it to your Mr. Clean Car Wash representative as instructed. We’ll give you the opportunity to speak with franchisees, visit an existing site and meet the team at the support center. Plan to visit Mr. Clean Car Wash sites during your research. A copy of the site directory will be provided with your Franchise Qualification Kit. Once you’ve completed your evaluation and have decided to proceed, we’ll schedule an executive interview. Your interview may be conducted in person or via phone. A Mr. Clean Car Wash executive will ask you about your goals for yourself and your Mr. Clean Car Wash business. After the call, the executive will determine whether to send a favorable recommendation to the review committee. The review committee makes the final determination on awarding franchises. Once the determination is made to award you a franchise, you’ll be eligible to sign the franchise agreement and pay the franchise fee. After a site has been secured, we will then schedule you for training at the Mr. Clean Car Wash training facility.